For the past several years, PC components have generally been getting more efficient and compact, allowing builders to create ever smaller and more appealing systems. The demand for compact gaming PCs is particularly high as, despite their higher initial cost, modern systems are more powerful than gaming consoles and have a significant number of other advantages as well. As a consequence of that demand for compact-yet-powerful PCs, the overall market demand for high-performance SFX PSUs has been increasing as well, as top-tier graphics cards still have substantial power requirements. Although the selection of high-end SFX PSUs is not nearly as rich as that of traditional ATX PSUs, more and more high-end, advanced feature SFX PSUs are being released every year. And this boom hasn't just been the same few companies; even manufacturers who've traditionally focused on just ATX PSUs are now getting into the SFX market as well. 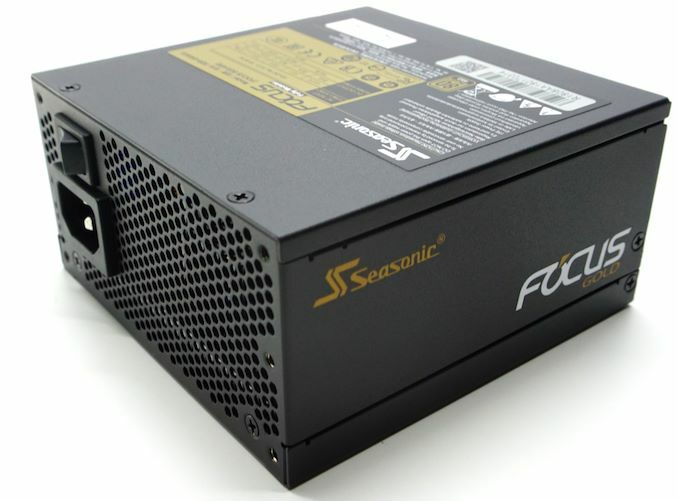 For today's review we're taking a look at SeaSonic’s latest advanced SFX PSU series, the Focus Gold SGX. The series consists of just two units: a 450W model and a 650W model. The former is ideal for systems with mid-range graphics cards (or less), while the latter can offer the higher power output required to handle top-tier cards and more exotic configurations. 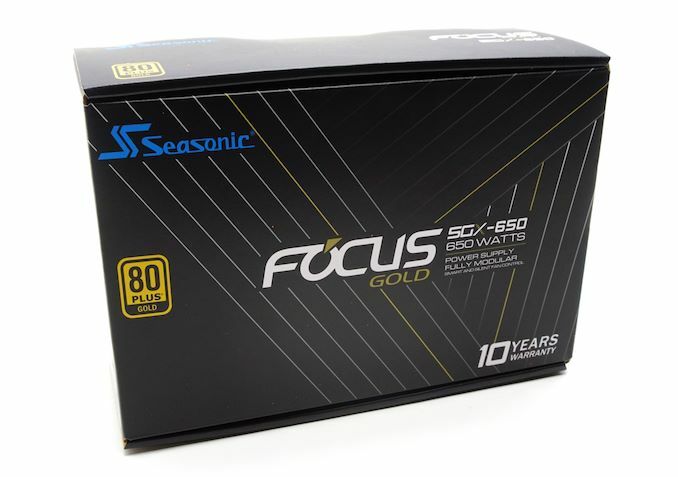 Along those lines, for our look at the Focus Gold SGX series SeaSonic is putting their best foot forward, having sent us their 650W model. With a $129 price tag, this PSU is still very much a high-end PSU for the SFX market, but is actually rather reasonably priced when compared to the other high-power PSUs it competes with. *There is a catch with the operating temperature of this model. SeaSonic rates it as operational up to 50 °C but de-rates its power rating down to 80% for temperatures over 40 °C. Therefore, we consider the Focus Gold SGX-650 to be rated at 40 °C for its rated performance. SeaSonic’s packaging is aesthetically simple, with virtually nothing but text covering the front side of the box. There are some thin lines forming an abstract shape but they seem like a basic attempt to catch a shop-browser’s attention. Despite its very simple appearance, the box is strong and the internal packaging is excellent, ensuring the safety of the lightweight unit during shipping. Inside the box, we found a rich bundle, especially for an SFX PSU. Aside from the regular AC power cable and the typical mounting screws, the company includes cable ties, three cable straps, and an SFX to ATX adapter. The latter is especially useful for users that upgrade or swap parts often, ensuring that their SFX PSU will be usable even if they decide to forgo their SFX design and build something else. SeaSonic even included a basic PSU jump-start adapter for users to test their PSUs without having to connect a system. The SeaSonic Focus Gold SGX-650 is a fully modular PSU, so every cable can be detached, including the 24-pin ATX cable. All of the cables are ribbon-like, “flat” type, and relatively short when compared to typical ATX products. 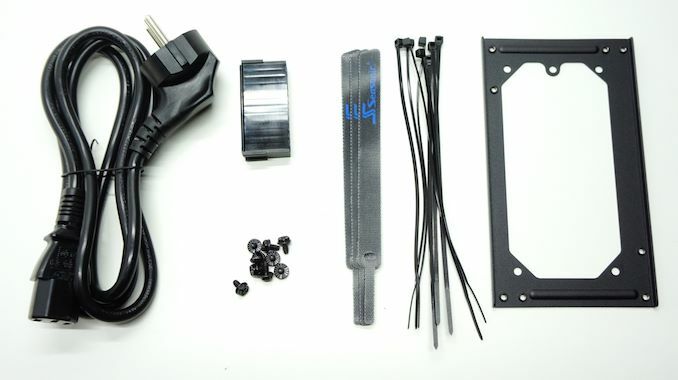 The shortened cables are the reasonable choice considering that the PSU is likely to be installed in very compact system where every millimeter counts, but their length is a potential issue for users wanting to use the PSU with a regular ATX case. Every cable is made of black wires and black connectors. Yep thats wht I was thinking , if you include the bulky connectors , thats maybe why modular FSX PSU should have some sort of flat connectors or have them indented (somehow).